I love the feeling of a fresh start to a new year. This year however feels different. I feel eager, motivated and excited. Each year I come up with a theme to be mindful of which is then broken down into area's of my life. Instead of calling my list New Year resolutions I call them focuses. Resolutions to me are too serious and sound like it's an immediate course of action that you need to take. Since changes evolve through daily practice I find that 'focuses' is a more appropriate term as we should be aware with each action and decision we take in order to achieve our goals. 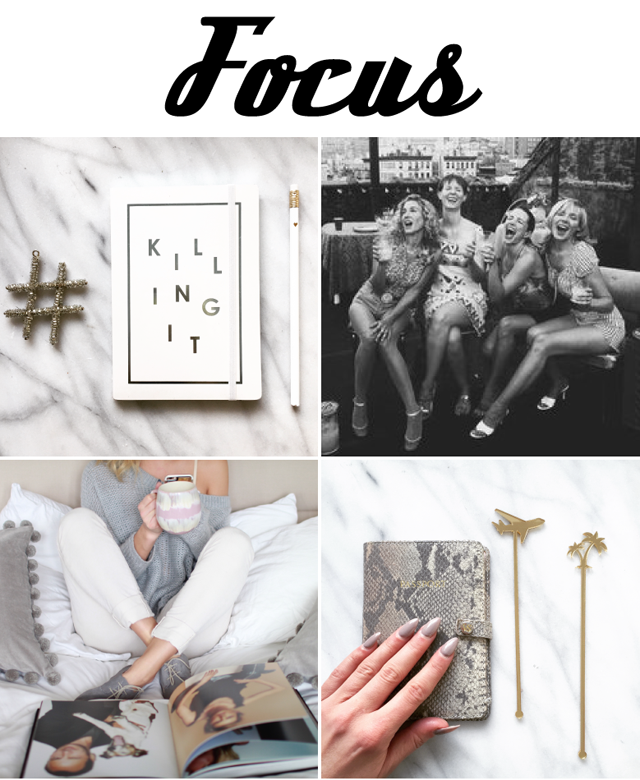 For 2016 I'm actually using FOCUS as my main theme. I feel a shift inside happening. I will always be a playful person at heart, it's just who I am, but perhaps as I'm now into my 30's I do feel like it's time to do some growing up. You really are a kid throughout your 20's. You go through so much: school to getting that first adult job, serious relationships to break ups then figuring out the whole dating thing again, adapting to changes and accepting responsibility. Not that a lot of this doesn't just stop as you get older but I do expect more consistency will develop in my 30's. It's only been the past two years that I've felt the most change and clarity of who I am. I'm not sure if that has to do with a break-up that I went though or if it was simply an aging thing but either way I have become aware more than ever of ME. After working hard on personal development then going through some change I feel ready more than ever to get focused to get more out of my life. 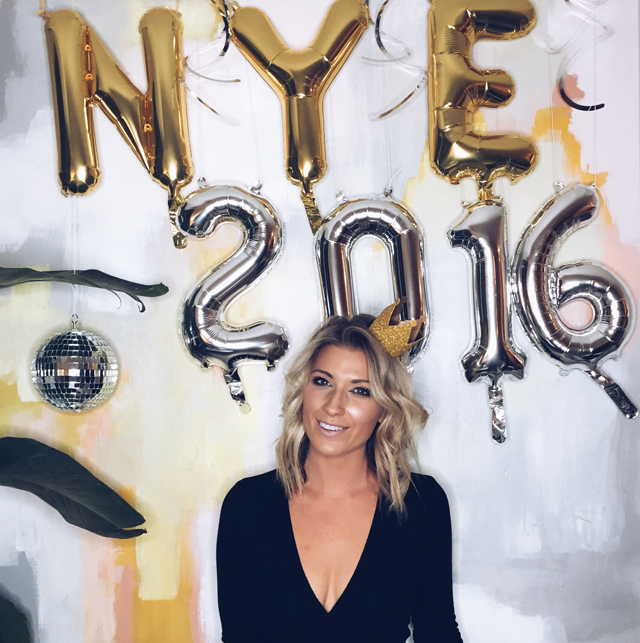 Find out what 2016 is all about for me and how the last two years have set me up for where I am today. The areas of focus include work, relationships, well being and travel. WORK | Right before the holidays I was offered a new job opportunity taking on two accounts where I will be responsible for their social media and creative content. Being a blogger this is already something I work at daily so I'm excited to take this on and improve on these skills while continuing to let my creativity flow. On top of this I will have flexibility with my time allowing me to still build away at Trend Struck. I have a few opportunities already on the go for 2016 that I will be sharing with you soon and I can't wait to see what will pop up throughout the year. To think I was ready to walk away from my blog at this time last year but then had such incredible growth, makes me so thankful I pushed through. Thank you so much for your continued support. RELATIONSHIPS | I've gone through a lot of ups and downs with relationships this past year and I've really taken a moment to do some re-evaluating recently. I feel incredibly lucky to be surrounded by so many amazing people and appreciate each relationship for their special unique value. However I'm also feeling like I need to take note on the proximity of some. As we get older we grow, we learn and we figure out what we need, what we feel we deserve and simply what is important. Friendships are like relationships where aside from good times you need depth, experiences, support, fairness and respect. WELL BEING | I sure had a lot of fun with all my free time this past year but now it's time to put a heavy focus on taking care of me and my body. It's time to party less and do more of those feel good things like reading books, meditating more and getting back into dance as a form of physical activity. TRAVEL | You will read below that travel is something I wish I did more of throughout my 20's. I did a few getaways last year but it's the type that I want to focus on this year. I want to see this planet we live on. I don't want to go on these trips simply because they are quick, cheap and easy. I want to be inspired, go somewhere new and have an experience. So bon voyage I'm ready for my 2016 take-off. 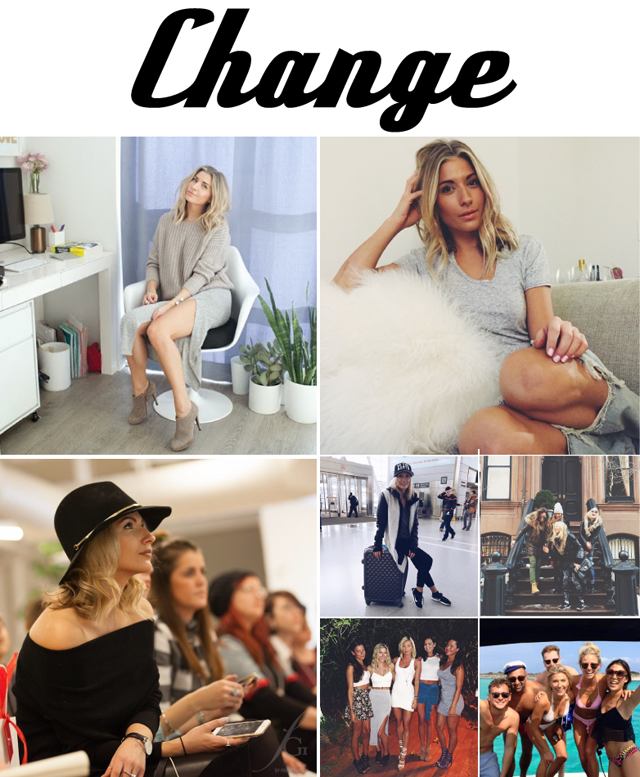 Last year was all about change. I started the year off in a new condo all on my own. I was single, no day job, just a night gig that depended on people getting wasted. In other words, it may be lucrative but it is by no means stable. This is an expensive City to live in alone and I was beyond scared to take this plunge but I did it and made my home the coziest and stylish little space possible. Around the same time I gave myself a new look by chopping off a good 8" of locks that quickly started a trend among others. I shortly after entered a new decade by turning 30 and had the best time ever celebrating it. This year was the first time I was only doing the bar thing for work. Usually I've been one to juggle 2-3 jobs at a time so all this time freedom was something new. Aside from having my blog to work at during the week I was nominated on to join the board for Fashion Group International where I managed their social media accounts and attended monthly events. Like I mentioned earlier I almost gave up my blog at the beginning of the year questioning where it was going and if this was in fact something that I wanted to pursue given the amount of time I had been investing in it. Thankfully after determining I was crazy to throw all my hard work away I made a pact with myself that with all this free time I would attend as many events as possible that I was invited to. One of the things I've worked so hard at over the past two years is stepping out of my comfort zone and putting aside my shyness to meet new people. I really did put in an effort and developed a number of great relationships and in turn had a successful year with my blog because of it. The final focus was travel. Instead of spending money on silly material things, or at least not as many, I hopped on a few trips. I headed to NYC for my 30th, Miami for a music festival and Spain for an experience. Once you get out there it's infectious to continue your travels. This was a tough one. After dealing with a breakup from a relationship I completely lost myself in I had A LOT of personal development to do. Things started off extremely dark but I soon began to see the light. Once I got recklessness out of my system I was determined to get back to who I was and who my friends knew me to be. First was acceptance that I was alone but thankfully I had my sister and her now husband to live with for support. The new year kicked off and I made sure I got back to the things that made me happy. Things like arts and crafts, hip hop classes, snowboarding and boxing. These things I hadn't done in years but since I knew they always made me feel good they were the simplest steps to take. I then integrated new things like yoga and meditation. Even new food groups like fish was such a major step for me. It was like I was opening up my mind and I had all new taste buds or something. After a good two months of heavy focus on myself that other great things began to happen. This was the year I began collaborations with others for my blog, it was all so exciting and motivating. I was getting relationships back in my life that I put on the back burner and even spontaneously took off to Vegas last minute to let lose. Things were starting to look up, fall into place and I was beginning to feel like myself again. It was about the 9 month mark where I was able to reflect with a sigh of relief and accept that I was genuinely happy again. What a great post. I think i need to do the same too. Happy New year! Love your picks! You should do more blogs in future.